You may have thought that OS/2 was dead. Well, surprise, it's not (sorry Mr. Gates!). It is still being sold under the name eComStation by Serenity Systems International. This is the desktop as it appears when you first start the eComStation Demo CD. 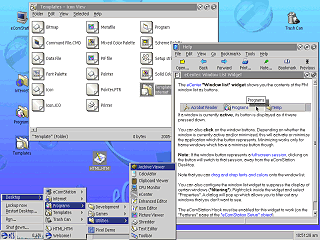 It automatically launches an animated overview using the Macromedia Flash player for OS/2, and launches the help system to a section about the Workplace Shell. 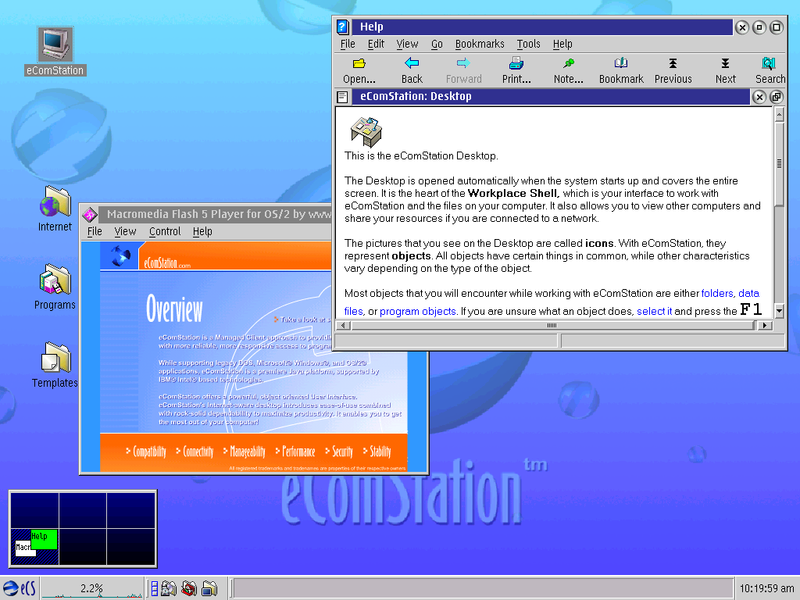 The eComStation Workplace Shell is responsible for the folder views and desktop icons. 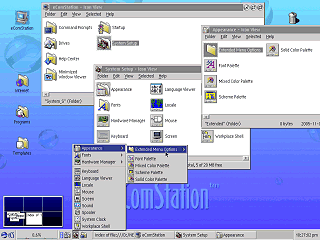 This version is greatly enhanced over the original Workplace Shell that was first introduced with OS/2 2.0. 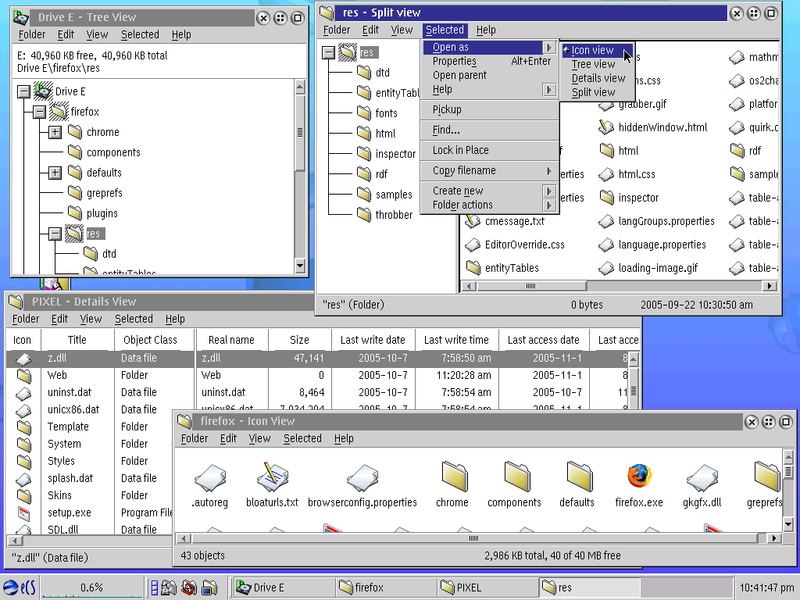 This screen shot shows the Workplace Shell displaying different folders in "Icon View" , "Tree View", "Details View" and the newer "Split View". 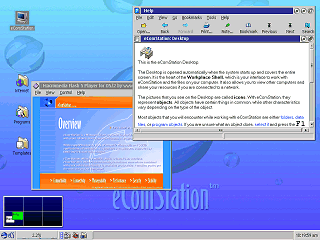 Like earlier OS/2, eComStation uses templates for the purpose of creating new documents and other objects. 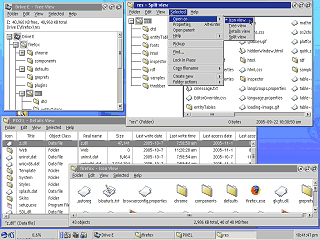 The eCenter toolbar has several useful tool buttons. One of these gives you a menu with the system setup (control panel) applications. 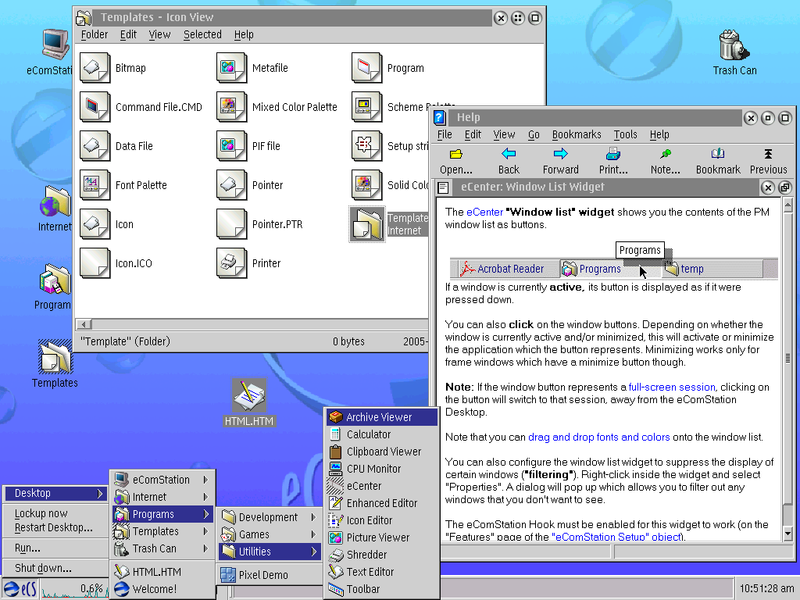 The Multi Desktop application shown in the lower left lets you select from any one of a number of virtual desktops.